El Destructor lived up to his name. Eugene Phelps erupted for 50 points to lead the Phoenix Fuel Masters to their first win of the conference over the Columbian Dyip. He lookd flashy rocking an expensive Gucci headband during the game. But he quickly proved to be a substantial load as the Dyip had no answer for his power in the paint. Phelps also had 17 rebounds and eight blocks in another dominant game. The Fuel Masters jumped out to a big lead early in the game behind the combined efforts of their starting line-up. LA Revilla and JC Intal extended a one-point lead to eight points and Phelps added a dunk to complete their first double-digit lead. They continued to pound the paint building an 18-point lead, 28-10. The Fuel Masters held on to a double-digit lead for the entire first half. It wasn’t until the third period where the Dyip started to fight back. Akeem Wright led Columbian to a 37-point quarter to get his team back to within striking distance. Phoenix tried to pull away again in the fourth, but Columbian stayed right at their tail. The Dyip had a chance to overtake the Fuel Masters but the debuting Beast refused to lose. 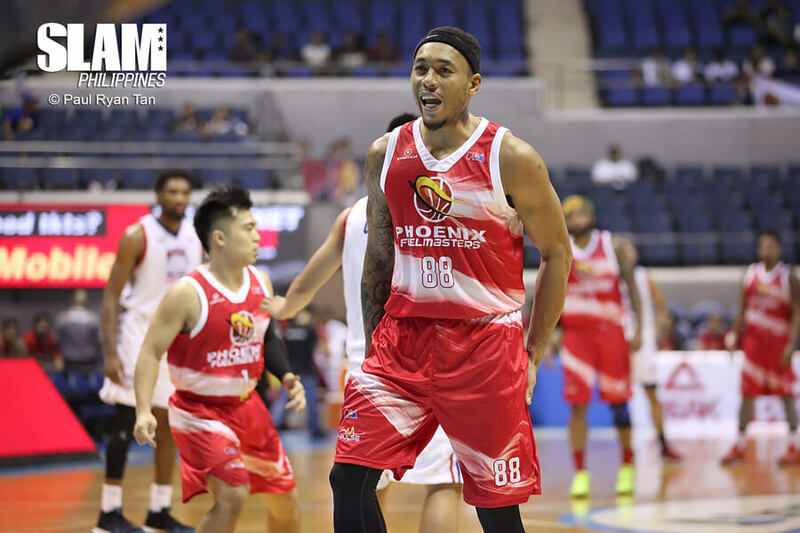 Calvin Abueva was all energy in the final minutes of the game. He blocked a game-tying attempt by Jerramy King and grabbed four offensive rebounds to keep possession alive for the Fuel Masters. Abueva also sank two clutch free throws in the final seconds to seal the win. Abeuva finished with a 12-point, 13-rebounds double-double in his first win for Phoenix. 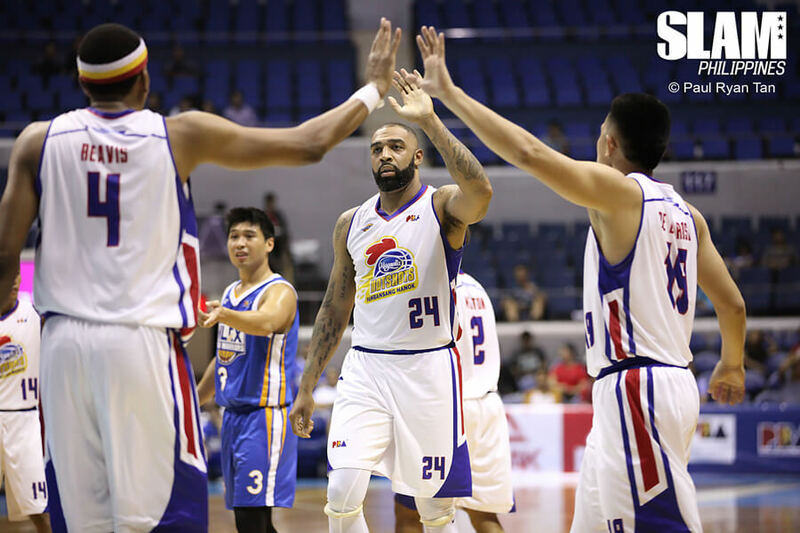 The Magnolia Hotshots opened the Governor’s Cup with a wire-to-wire win over the NLEX Road Warriors. They snap NLEX’s two-game streak with a masterful defensive effort by the entire team. The Hotshots limited the Road Warriors to 72 points on 38% shooting. They also committed 20 turnovers in the game. Only Olu Ashaolu scored in double-digits for NLEX with 21 points. Magnolia’s effort was evident right out of the gate. They limited NLEX to just 12 points in the first quarter with their defensive intensity. On the other end of the floor, Magnolia shared the ball and the offensive load. PJ Simon, Mark Barroca and import, Romeo Travis teamed up to help the Hotshots build a double-digit lead near the end of the first period. The Hotshots were rolling. Back-to-back three-pointers by Barroca highlighted an 8-0 that gave Magnolia a 21-point lead. Their lead would grow to as big as 30 points and would stay in that range the rest of the way. Travis led the Hotshots with 21 points and 13 rebounds. Four locals scored in double figures led by Barroca with 13 and Simon with 12.